The most popular of BRF’s Bible Reading Notes publications, this app is a daily guide for thousands of readers all round the world. Direct to you, New Daylight offers daily Bible readings and reflections for everybody who wants to go deeper with God. The free app contains a sample of 21 readings and reflections including the next 7 days that you can keep and use on your iPhone forever. Subscriptions for 1, 4 or 12 month periods for future readings are available for purchase within the app. 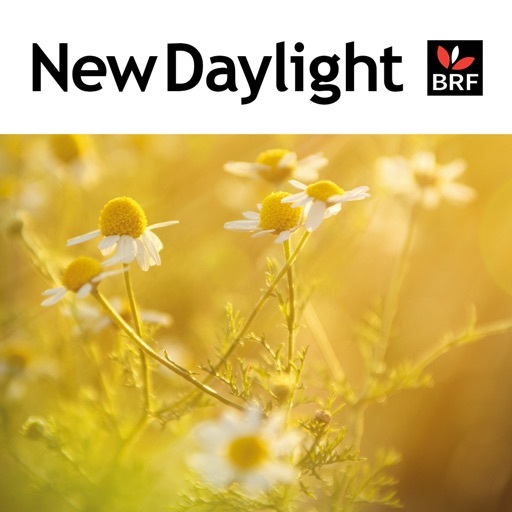 The New Daylight app opens on a specially prepared reading each and every day of the year. It is ideal for those looking for a fresh approach to regular Bible study, and offers a talented team of contributors who present a Bible passage (text included), helpful comment and a prayer or thought for the day ahead. The New Daylight app supports the purchasing of 1, 4 and 12 month subscriptions from within the app. Readings are intelligently downloaded in the background so you don't need to remain connected to the internet to access them and once downloaded will remain available on your device. New Daylight is edited by Naomi Starkey. The team of contributors includes Steve Aisthorpe, Amy Boucher Pye, Rachel Boulding, Stephen Cottrell, Elaine Duncan, Gordon Giles, Tony Horsfall, Helen Julian CSF, Jennifer Oldroyd, John Proctor, Stephen Rand, David Robertson, Margaret Silf, Naomi Starkey, David Winter, Veronica Zundel. It is a publication of BRF.